Since its inception in 1980, the annual Singing Christmas Tree program has been a cherished Christmas tradition for the Greenwood community. More than 100 church members assemble on the outdoor tree stand to sing familiar carols and tell the story of the birth of Jesus. 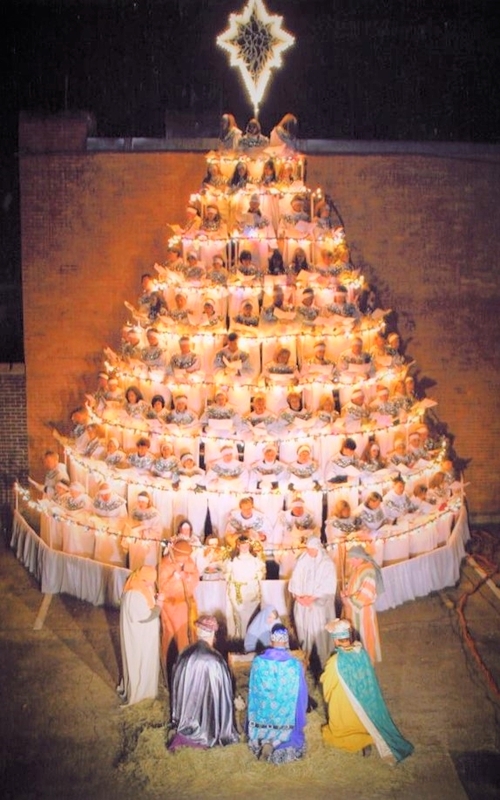 The program features a live nativity scene at the foot of the tree complete with a “Procession of the Kings.” This event involves church members aged 8 to 88 and is the largest intergenerational event held each year in the Greenwood community. The event is held annually at the beginning of December. Please check our events calendar for more details.